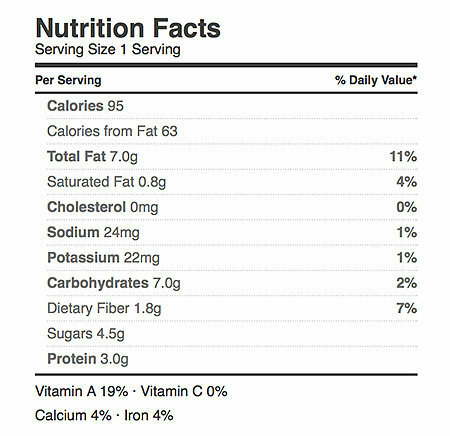 Love a slice of creamy pumpkin pie but don’t love the calorie amount attached to it? Then grab a can of pumpkin and bake these cookies immediately. Soft, chewy, and under 100 calories, they’re bursting with that spiced pumpkin pie flavor you crave, but for fewer calories and sugar. Plus these babies are grain-free, so they’re low in carbs, too. Another bonus? Since this recipe is vegan, you can go ahead and lick the bowl clean! Preheat your oven to 350°F, and line two baking sheets with parchment paper or a Silpat. Combine all the ingredients in a medium bowl, and mix until a smooth batter is formed. If adding the dark chocolate chips, fold them in now. Using a spoon, drop the batter onto the lined baking sheet and use the back of the spoon to spread them out into circles. Bake for 12-15 minutes, until the edges are slightly golden.